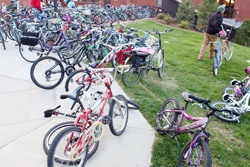 Bike racks at Hailey Elementary fought a losing battle on Wednesday, as record numbers of students commuted to school on bikes and boots. Is Craig?s loss a gain for salmon? No new war for ?broken army?